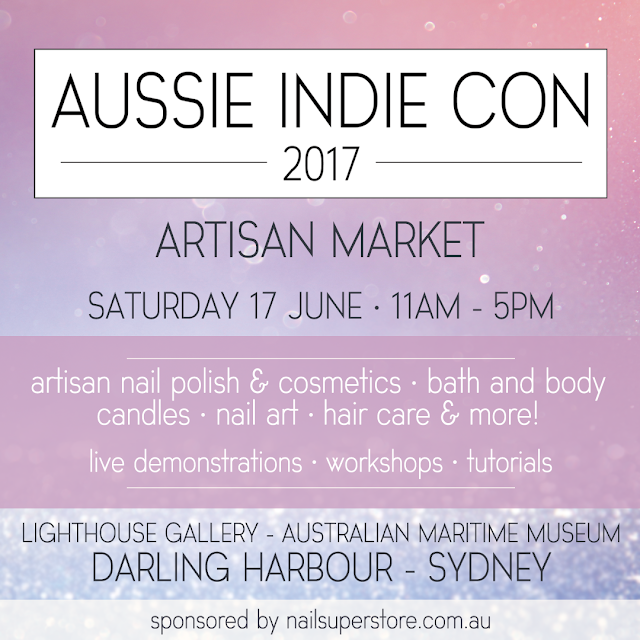 Have you guys heard about Aussie Indie Con 2017? You know the Americans have been having nail polish conventions for a while now. I know they've definitely had three, with the most recent one just last weekend in NYC. But no longer will us Aussies miss out. 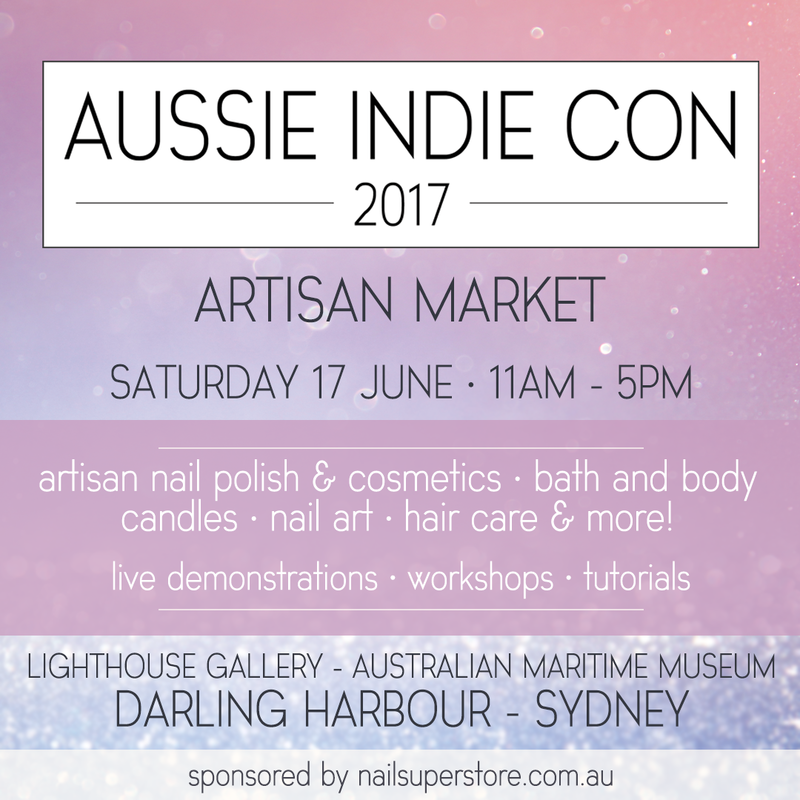 In fact we will become the envy of the polish world come June, when we all get together for Aussie Indie Con! I'm super excited to be going and to be able to meet so many of the girls (and guys) I've got to know online. General entry is free, but there are also VIP tickets that get you early entry and access to the workshop. Did I also mention that VIPs get a secret goodie bag. I've no idea what is in the bag, but we've been promised awesomeness, and I'm pretty sure it will deliver. If you want to try and snag one of the three remaining VIP tickets, you better act fast. Here's the booking link. You know those workshops I mentioned. Well guess what. Your's truly is running one. And it's not going to be some easy peasy nail art workshop, nope! We are tackling water marbling. I'm not quite sure why I agreed to the crazy task of work-shopping water marbling, but it's on like Donkey Kong folks. I actually do have a huge bunch of tips and tricks that I've developed over the years, so I'm pretty confident everyone will get good results. The venue has recently changed to be right in the heart of the city, and the room looks amazing with so much natural light. Sorry NYC Polish Con, but I think the lighting there was way to dark when wanting to pick out nail polish colours. Let me know if you are coming, as I'd love to meet you all.